The owner of an extensive new-build farmhouse at Long Marston near York is enjoying the benefits of reduced heating bills and a warm, comfortable home, after choosing to install a ground source heat pump supplied by Danfoss Heat Pumps UK. Tim Abbey of Hall Farm has monitored the energy costs of his house since its completion in 2009 and says space and hot water heating for the six-bedroom property has averaged at just £750 per year. He estimates that a similar level of heating from an oil-fired system would have cost at least £3,000 per year. The Abbey family decided to sell their 17th Century farmhouse for development and build a modern energy efficient home nearby. Tim chose a Danfoss ground source heat pump for the three-storey home, which has a floorspace of 350m2 and he has seen his energy bill drop dramatically in comparison to the cost for heating his previous property. Horizontal ground loops were set in trenches in a field close to the property. The DHP-H 12, 12kw pump is situated in an enclosed cupboard in the garage. It supplies underfloor heating pipes, which were installed throughout the ground floor and radiators on the first and second storeys. Anglian has installed Wetherby’s NanoPore & Phenolic external wall insulation as part of an extreme eco-makeover for Crawley Borough Council’s retrofit project. Wates appointed Anglian Building Products to undertake the insulation works to 33 Warnham Road; one of four properties in Crawley which were awarded funding by the Technology Strategy Board as part of a national competition ‘Retrofit for the Future’. Retrofit for the Future was created to monitor how a range of low carbon refits undertaken on existing social housing properties can help to meet the UK’s target for reducing greenhouse emissions of 80% by 2050. 33 Warnham Road in Furnace Green, Crawley was a non-traditional property built in the 1960s which incorporated a timber frame. Anglian installed the NanoPore VIPS (vacuum insulated panels) to the external walls by sandwiching them between 25mm thick phenolic battens. The setting out, calculating the varying width of the battens, and their fixing, was carefully managed to avoid puncturing the VIPS panels and to maximise their efficiency. A cover layer of 25mm phenolic boards was then installed over the entire assembly, fixed through the battens and completed with the application of a thin coat render system with silicone finish. This insulation material addresses heat loss through its pore structure of silica, titania and carbon which provides an excellent thermal performance of 7-8 times greater thermal resistance value than conventional foam insulation materials. The insulation of the NanoPore VIPS system has since delivered a U-value of 0.13 W/M2/K to the home. A range of building materials which include MVHR (Mechanical Ventilation and Heat recovery), combined heat and power, photovoltaics and high performance windows were also installed in conjunction with the NanoPore VIPS insulation. 1 Zero 4 by LaRock has won the Pro Yorkshire RICS 2011 Award for 'Best Residential' Designed and built by LaRock Construction, Harrogate. 1 Zero 4 is a £multi-million 'beyond' green five-bedroomed home in North Yorkshire (Harrogate). “LaRock designed and built on the ethos that homes should be more than 'eco', more than 'designer luxury', more than 'sustainable' – an actual 'life assistant' that morphs to needs, wishes and requirements of residents – cocooning them in a warm blanket of lifestyle driven technology,” the company said in a release. It has been designed to have highly unusual levels of intelligence for a residential scheme more akin to high end commercial schemes which makes it a whole new proposition for a technology driven lifestyle. Each component of the property is able to communicate with others making it a highly efficient and accountable scheme. The building infrastructure pushes beyond sustainable, combining high performance and renewable methods including double air source heat pump technology, solar and rainwater harvesting. Designed to be sensitive to the needs of the modern family 1 Zero 4 is a living, breathing form, responsible in essence for water, power, energy. Technology allows for minimising resources in some areas but having the capability to maximise in others. 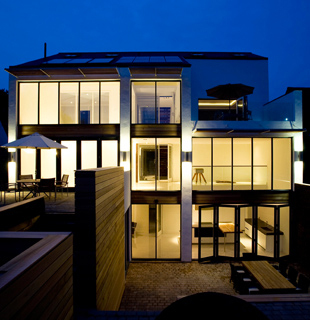 A home that creates and allocates accordingly with no waste. Completely measurable at the touch of a button the house answers questions right down to how much rainwater has been harvested to how much solar energy has been generated. Complete home automation, AV and eco technology systems have been amalgamated into a single coherent system, all managed via a centralised AMX control system and iPad technology. The Lion and Pheasant hotel in Shrewsbury called in Ventrolla Staffs and Shropshire to renovate the sash windows on the well known stylish townhouse hotel, bar and restaurant in the heart of the town. Over 30 sash windows were given a complete overhaul to ensure they were in perfect working order, energy efficient and in keeping with the 17th and 18th century structures and sophisticated interior design. Rachael Chidlow, a partner at architects Paul Keogh Architects, is delighted with the renovated windows. The renovation process involved installing Ventrolla’s Perimeter Sealing System (VPSS) around the outer edges of the sashes, which improves energy performance by eliminating draughts. Rachael said: “We recognised we needed to transform the property as its condition had deteriorated. 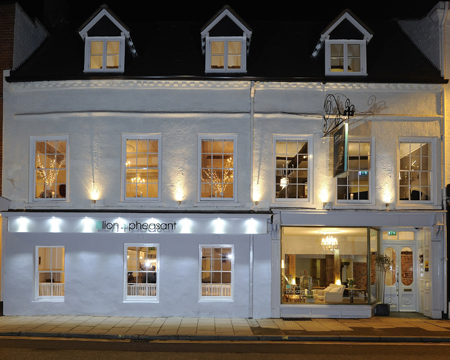 We didn’t want to sell the property as it is a large part of our family history and so we decided to restore and revitalise it into the unique boutique town house hotel it is today. Following the renovations, The Lion and Pheasant now has 22 bedrooms, two bars, restaurant, reception and banqueting facilities, bringing a new dimension in hospitality to Shrewbury’s historic town centre. It also features the spectacular Georgian 'Crystal Room', a split level restaurant and an impressive oak-trussed 'loft' bedroom. VE Parrott (Oakley) received a special commendation at the London Evening Standard’s New Homes Awards for an innovative social housing development in Luton. Working with Aldwyck Housing Group, Marsh Farm Development Trust, PRP Architects, Calfordseadon and Luton Borough Council, VE Parrott constructed the contemporary Jeremiah Smith House in the Marsh Farm area of Luton. 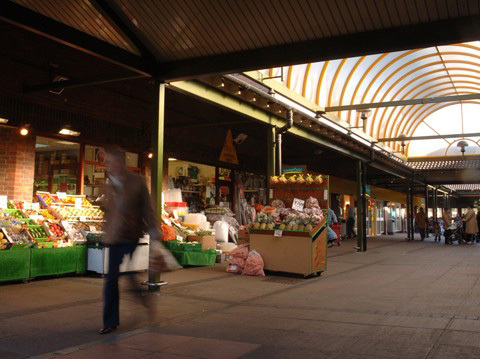 The project received funding from the Homes and Communities Agency to aid the regeneration of the local area. The structure was designed to be a focal point and the local community was involved from the start. Six half-day taster sessions took place enabling 60 local residents and school students to look around the site. Twenty-one trainees from the area had work experience on site for two days a week for the duration of the project, resulting in 420 training days and several trainees achieving NVQ Level 2. Employing local labour was important during the course of the build, with 27% of all operatives living locally. Full time security was also provided by a fledgling local company, Warriors Security. The building is on the site of a former children’s home and contains 24 flats. 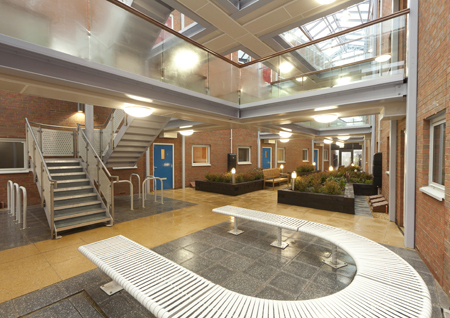 The three-storey development has two blocks connected by a glazed roof, creating a light and airy central atrium area. Residents gain access to their properties from this communal area, which has been designed with community spirit in mind. It has been fitted out with modern glass and aluminium fixtures, and has plenty of seating, a lift, video door entry, and flower beds. Energy efficiency was also taken into consideration during the build. Lighting in the communal areas is powered by photovoltaic cells on the roof of one block. Energy efficient timber frames with thick, high quality insulation have been used, along with sustainable materials where possible. Residents can also benefit from high efficiency boilers. The £550m redevelopment of London Blackfriars Station has given significant consideration to the long term implications of climate change. The new station will be fitted with sustainability technology such as sun pipes, rain harvesting systems, thermal insulation, and photovoltaic (PV) cell solar panels to decrease its reliance on other infrastructure such as water and electricity networks. Network Rail director of investment projects, Simon Kirby, said: “As a business we recognise the challenges of climate change and have a responsibility to consider this in the planning, construction and delivery of significant rail projects. Rail Minister Theresa Villiers said: “Despite the need to cut the deficit, the Government is committed to investing in our transport infrastructure through vital projects such as the Thameslink upgrade, Crossrail, the proposed High Speed Rail Network and more electrification of the rail network. 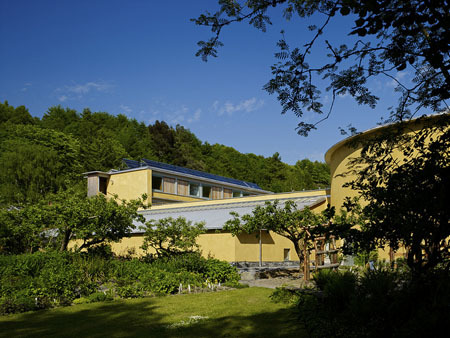 The Centre for Alternative Technology has been awarded a prestigious architecture award for the Wales Institute for Sustainable Education. The judges said: "The word 'sustainability' is frequently used; this project not only lives up to the Centre's mission but does so with a quiet confidence. Many such buildings flaunt their green credentials; this building doesn't and is a delight as a result." CAT's external relations director Paul Allen said: "Winning such a prestigious award shows that sustainable building methods are breaking into the mainstream. The WISE building demonstrates many cutting edge low energy building techniques and we are delighted that the RIBA have recognised CAT's pioneering approach to architecture by giving us this award." The purpose of CAT's WISE building is to provide thousands of people the opportunity to learn about environmental topics, from organic gardening to renewable energy and green architecture, in an inspiring environment. The WISE building features many innovative sustainability features. Throughout the construction, low embodied building materials such as earth and hemp were used. Building materials have been sourced locally; the rammed earth lecture theatre is made using soil from a nearby disused quarry. The building has energy-efficient glazing to enhance natural day lighting and passive heat gain, making energy requirements minimal. Every stage of construction was monitored to calculate the environmental footprint – from the materials used to the daily journey to work made by those working on WISE. Environmental monitoring will continue throughout the building’s life. • A circular 200 seat rammed earth lecture theatre. • 24 en suite study bedrooms fitted with energy monitoring equipment. • New toilet facilities with natural zero energy treatment of grey water and sewage. • Plant and server rooms for the monitoring of energy and water usage in the building. • Seminar rooms and workshops. • Offices, common rooms and reception areas. • Restaurant and bar – promoting the importance of sustainable land use, food miles and a healthy diet. • Uniquely designed organic gardens. Home dwelle.ing has won five architectural awards for design, sustainability and innovation, and it forms an integral role in the new Eastlands Homes project. Eastlands Homes is developing a programme to assist residents and the local community to understand how to reduce their carbon footprint. With the modernisation of six of its towers, which will make them far more energy efficient, Eastlands Homes wants to maximise the impact that this investment has on the their carbon footprint through a programme to empower their tenants to reduce their footprint too. This will also help Eastlands Homes meet its obligations under the Carbon Reduction Commitment Energy Efficiency Scheme (CRC). Cooler Projects CIC will deliver a Carbon Literacy programme to tenants of the modernised blocks that will be led by tenants’ needs and experience. It will use motivational science to ensure that the new behaviour is derived from tenants’ ideas, supports them in building their expertise and allows them to visualise the impact that their new behaviour is having. In other words the programme will focus on creating a sense of ‘autonomy, mastery and purpose’ in the participants and so make its impact all the greater. Undertaking this programme will also give the tenants a greater understanding of the potential disruption that the work will cause. Home dwelle.ing will be the hub for this new programme, located adjacent to Platt and Worsley Courts in Rusholme, two of the blocks to be modernised. A mixed tenure housing project close to London’s Canary Wharf has been given an award-winning visual identity thanks in part to Natura from Marley Eternit. Natura fibre cement rainscreen cladding offers a sustainable and low maintenance facade that combines good looks with durability and impact resistance. Topaz, Coral and Ivory coloured Natura was specified by the architects for Phoenix Heights at Mastmaker Road in East London as part of an ‘appealing, human scaled aesthetic’. The challenge this posed for the architects was how to bridge the shift in scale between the low rise buildings in the west and the high rise glass fronted Millennium Quarter to the east. The issue was addressed both by graduating the height of the 199 homes over three to seven storeys, and by the use of the Natura in three colours to visually reduce the scale of the building and make it appear less imposing. Topaz coloured Natura was used for the high level sunshade canopies, whilst Coral was specified as infill panels and privacy screens on the roof terraces. 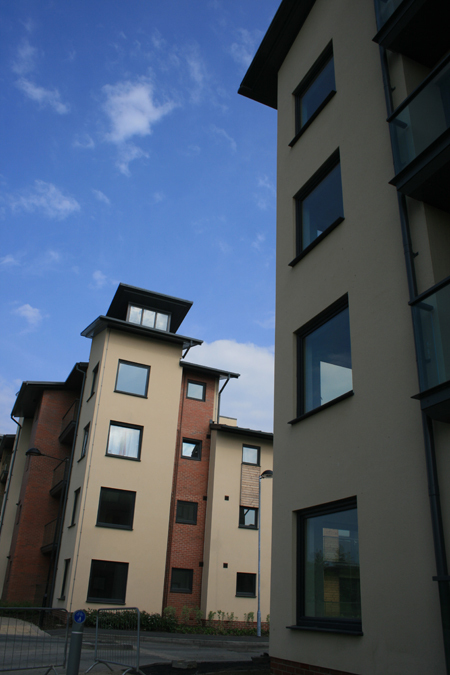 Insulated render to the main body of the building was then matched with Ivory coloured Natura on the large high level balconies, which proved to be much lighter and easier to apply than render. Natura was installed by MPG Facades as part of a rainscreen cladding insulation solution, with the walls achieving a U-value of 0.25 W/m2K. The development achieves an Eco Homes Very Good rating and secured The London Evening Standard’s award for The Best New Affordable Housing Development. Marley Eternit fibre cement cladding panels can achieve an A+ rating as defined in the BRE Green Guide to Specification based on generic rating for autoclaved fibre cement single sheet. Sheerframe windows and doors deliver exceptional weather tightness and energy performance and can be central towards the achievement of a zero carbon ratings, which requires a category six under the energy element in the code for sustainable homes. In the 4th edition of the Green Guide to Specification published by the BRE Sheerframe PVC frames perform to A and A+ levels, the highest attainable. Sheerframe windows have featured alongside other Litchfield Group components – ICF Tech walls and Masterdor doors – in a range of landmark developments including the Code Level 5 social and private housing development at Brookwood Farm in Woking. BLP is in the process of insuring a number of new schemes where, when the homes are built, they will be among the first in the country to achieve a zero carbon rating. Jeff Maxted, technical director of BLP, said: "Our flexible approach to innovation and traditional construction combined with an extensive knowledge of modern methods of construction has allowed us to insure a number of new schemes that traditional warranty providers might be reluctant to insure." For example, BLP recently agreed new homes insurance on a Code 6 development by Catalyst Housing. Working with Willmott Dixon, Catalyst Housing is about to start building on a new development at Staines Road, Hounslow. Tim Nathan, project manager at Catalyst Homes said: "From the outset we have been committed to building Code 6 properties that will be homes for life – not an experimental scheme where people are housed short term while the properties are assessed for efficiency. "We have worked with BLP before and their approach to this project has, as ever, been refreshingly straightforward because, although they wanted different information in order to process the application for our new homes insurance, the process was exactly the same and the premiums are no different. Jeff Maxted agreed: "The transfer of knowledge between professionals is absolutely essential to the zero carbon agenda. Collaboration and partnering will be essential to achieving the demanding carbon reduction targets that have been set and BLP will play our part is supporting our clients to achieve this." Trade and commercial fabricator Emplas has completed a major installation of almost 1,500 new build energy efficient windows and doors in a smooth grey foil. Designed to replicate the external appearance of aluminium, windows were manufactured by the Wellingborough-based manufacturer in the FS70 system from Profile 22 and feature an exterior slate-grey foil and white interior finish. Appointed as a preferred supplier by lead contractor Wates, Emplas completed the delivery programme to more than 200 new build properties in the Piper’s Way, Swindon, development in spring this year. Kevin Johnson, managing director, Emplas, said: “Piper’s Way is a very significant project. At almost 1,500 products it is large scale but more importantly we have been able to demonstrate just how flexible PVC-U can be, particularly aesthetically. Alongside appearance, energy efficiency was also important on the Code 4 level project, the windows achieving a 1.4/m2k WER ‘A’ rated advanced thermal performance. Profile 22 also offers a triple-glazed option, available in its standard ranges and new fully recycled RECO22 system. Capable of achieving U-values as low as 0.8 W/m2K, the bead has been designed to give fabricators new ‘reach’ in the commercial sector. Andrew Reid, sales development director, Profile 22 said: “Two things are driving sales in the commercial sector, thermal performance – we’re already at Code 4 and rapidly moving towards level 5 – and enhanced aesthetics. The triple glazed bead and foil offers from Profile 22 go a long way to ticking those boxes. “It’s manufacture from 100% recycled material means that RECO22 reaches further still, cutting the carbon footprint of extruded profile to just six per cent of that manufactured using virgin material, securing a dedicated A+ rating across all domestic applications from the Building Research Establishment. EOS Energy’s customers have been enthusiast in showing their support for the company, many being especially impressed with the quality of the installation team. Begg was so impressed that he is planning on installing safety equipment to allow visitors to view the roof and experience renewable energy first hand. Similarly, Councillor Dave Wise in Southam was so pleased with his recent domestic installation by EOS Energy that he is also offering to showcase it to visitors. Dave said: “I work with members of the public and the interest from people has been phenomenal. 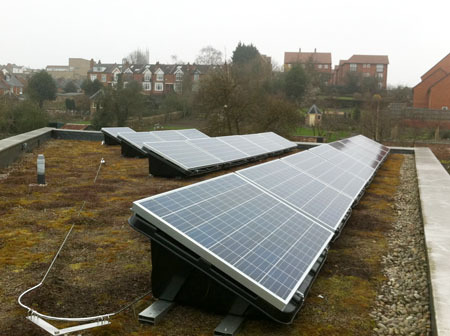 People are always asking to come and see the new system on my roof, which I'm more than happy to do!" Bedfordshire East Schools Trust (BEST) has completed its new £2.2m low-carbon, rapeseed oil-powered, co-location building, at its site in Shefford, Bedfordshire. The project – which was designed and constructed by the Stamford-based, low-carbon building specialist, LowC Communities – achieved an Energy Performance Certificate (EPC) rating of ‘A’ and ‘Outstanding’ level under BREEAM’s energy guidelines. Using an architectural design by Hanson Leddington Architects, the 805m2 building, named ‘BEST House’, is now home to a purpose-built nursery and a suite of offices for the delivery of children and family services via a number of public-sector partners. “This data enabled us to correctly size the generation technology to efficiently meet the needs of the building.” Griffin continued. “This level of accuracy is crucial to establishing operational performance. A building’s energy consumption can vary by as much as a factor of 200% depending on its occupants’ usage; and the associated electrical and thermal loads can also vary by up to 400% from the standard design tool modelling adopted through the traditional part L design approach. The design team looked at all of the available options and, after careful evaluation, opted for an 8kWe, Pure Plant Oil combined heat and power (CHP) system, that would produce all of the renewable heat and power required – coupled to a thermal store to ensure renewable electricity could be generated when required without dumping heat. Using locally grown Rapeseed oil – an Ofgem-accredited renewable fuel with a carbon content of 0.009kg/kWh (2010 building regulations) – importantly, qualified the LowC Energy centre for double ROCS (Renewable obligation certificates) providing a revenue stream for the building’s owner, BEST. Water use has also been minimised, by the building’s rain-harvesting roof collecting water and storing it in a tank to be used for toilet flushing. Platon DE25 drainage and storage membrane has been specified as part of the green roof construction at the new Universal Studios theme park in Singapore. Occupying about 35,000m2, the green roof is one of Asia’s largest. Platon DE 25 was chosen as the drainage/water retention layer because the wide structural spans of the immense roof and the fast track construction of the park demanded that the chosen system was light and easy to install. The other components of the green roof build up included a fully adhered layer of Evalon PVC-EVA terpolymer waterproofing membrane, and a non-woven filter fabric which was laid over the DE 25, followed by a primarily inorganic substrate and selected drought tolerant plant species which require little or no maintenance. The excellent insulation properties of green roofs mean they act as heat and sound shields, protecting building interiors from the tropical heat and reducing sound transmission. 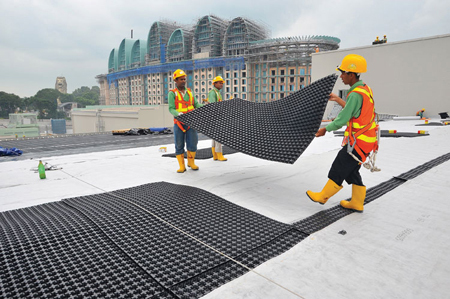 This not only reduces energy consumption, but also extends the lifespan of the waterproofing on the roofs. Platon DE 25 is available in the UK and Ireland from Triton. Depending upon general climatic conditions and the plants used, Triton can now also offer Platon DE 40/500 for projects where a higher water storage capacity is required. Alpha Heating Innovation has supplied a series of its boilers for installation on a residential project in Inverurie, near Aberdeen. The combination of units is helping to achieve the additional 30% reduction in carbon emissions required to keep in line with recently updated Scottish government building regulations. To achieve the reduction in carbon emission levels, Alpha supplied 50 of its CD50 storage combi boilers in addition to SolarSmart units, GasSaver top boxes and FlowSmart 50 units for installation across the first phase of the residential site, with more to follow on upcoming project stages. 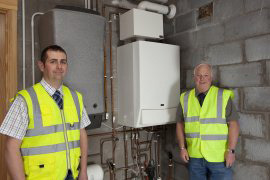 The CD50 storage combi boiler was selected due to its ability to meet above average demands for hot water – a point of particular notice in properties with multiple bathrooms or tenants, as built during the Inverurie project. Due to its 52 litre built-in storage cylinder, the CD50 unit is able to deliver hot water at a flow rate of 18 litres per minute – enough to fill a bath in just 3-5 minutes. To complement the CD50 boilers, Alpha’s award-winning SolarSmart package was also fitted allowing households to generate a back up heat supply should it be required. Designed to work with a combination boiler, unlike traditional solar thermal systems which work only with a standard boiler, SolarSmart is ideal for use in this situation and helps deliver significant energy and financial savings as a result. SolarSmart works by heating the stored volume of water using only energy generated through the SolarSmart solar system meaning no gas is used in maintaining the cylinder temperature. Installed to work with the new units, Alpha’s GasSaver and FlowSmart technologies were also employed to help meet even greater levels of emission reduction. GasSaver sits above the boiler and works by recycling waste heat from boiler flue gases. This warmth can then be used to pre-heat cold mains water before it enters the boiler. As a result, the boiler works to heat warm rather than cold water resulting in around 35% less gas being used, helping to reduce energy costs while saving up to half a ton of carbon per year. As such, the product itself is recommended by the Energy Saving Trust and is SAP Appendix Q recognised. For larger households within the project, FlowSmart was also installed to help meet the higher than average hot water demand. While a combination boiler alone is able to supply large volumes of water in average use situations, it is unable to deliver very large volumes of hot water to multiple outlets at the same time. FlowSmart is able to meet such needs and is also approved by the NHBC in accordance with Chapter 8.1 for simultaneous draw-offs up to 18 L/min. Students at Oxford Brookes University are enjoying the use of a postgraduate lounge built at the centre of an eco-friendly £16m ‘village’ development, and surrounded by JBCitideck, a smooth anti-slip timber decking from John Brash. 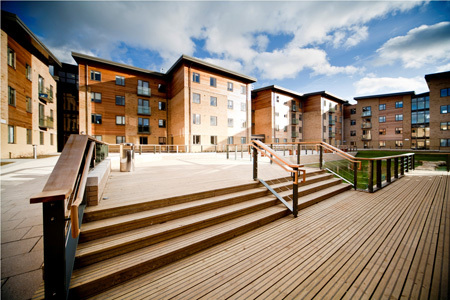 The main contractor on the project is the Leadbitter Group, who specified John Brash’s JBCitideck for the roof terrace, ground level terraced areas of the postgraduate lounge and balconies from the student flats. JBCitideck is frequently specified for outdoor areas where food is served. Its smooth surface prevents food, dirt or litter becoming trapped, making it much easier to clean for maintenance teams. John Brash timber products are all manufactured within a quality system accredited to BS EN ISO 9001:2008 and only sourced from sustainable and well managed forests that have either FSC (Forestry Stewardship Certification) or PEFC (Programme for the Endorsement of Forest Certification) schemes. High performance building materials from Natural Building Technologies (NBT) have been specified for one of the UK’s most sustainable developments, One Brighton. NBT’s building systems provided exceptional thermal performance levels and helped the development achieve a zero carbon status and an EcoHomes ‘Excellent’ rating. The flagship project of developer, BioRegional Quintain and housebuilder, Crest Nicholson, One Brighton is part of the regeneration of the New England Quarter of Brighton. The development was the first One Planet Living community to be designed, constructed and managed using the One Planet Living Principles, a global initiative by BioRegional and WWF International which provides a set of guiding principles to promote highly sustainable lifestyles. A mixed-use development, One Brighton comprises 172 apartments and Eco-studios, as well as offices, retail space and approximately 1000m2 of community space. 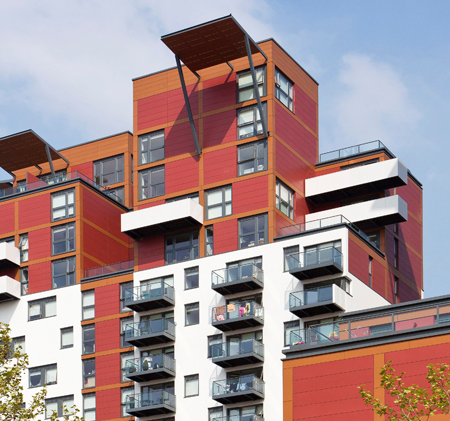 The two contemporary blocks of up to 11 storeys, were constructed using NBT’s ThermoPlan fired clay blocks, Diffutherm woodfibre insulation and mineral-based render systems. Quick and easy to install, NBT’s building materials offer high levels of thermal efficiency and are fully breathable, creating a healthy internal living environment. NBT’s consultancy service, nbt consult, managed the on-site workmanship, ensuring a high quality finish and guaranteeing that the predicted efficiency values were achieved. Additionally, nbt consult conducted air-tightness testing and provided technical design advice on ventilation systems. The Mayor of London and Siemens are to create a unique centre in Newham, East London, where city experts and high-tech engineers will work side by side. Siemens AG intends to bring its global Centre of Competence for cities to London and create a joint 'think tank' with the city of London where international, high-tech engineers and London's city experts will work together side by side. The Mayor of London, Boris Johnson, said: "Siemens' commitment to London is a thumbs up for the skills our city has in green and other sustainable technologies. With this global electronics and engineering giant's plans for their new centre far advanced we will do all we can to bring together the capital's invaluable expertise with Siemens' amazing pool of international technology pioneers." Siemens AG intends to be a leading participant in the dynamic growth of cities and infrastructure investments. Therefore the company has formed a new sector spearheaded by a global Centre of Competence located in London. In addition to offices for city planners and engineers, Siemens plans to host a major, state-of-the-art, exhibition on sustainable urban development at the centre, which will be open to the public, as well as hosting conferences in its 300-seat auditorium and providing facilities for visitors including a shop, restaurant and café. Groundwork has already started at the site with plans to construct an All Electric Building, which will cover an area of 3,687m2 in two crystal-shaped sections. Siemens has invested more than £30 million into the centre to make sure it will meet the highest building standards - such as the LEED "Platinum" and the BREEAM "Outstanding" for sustainable design and construction. The building will be embedded in a smart grid and will include charging stations for e-vehicles. It will make use of solar power, ground source heat pumps, energy-efficient lighting and a closed water cycle. It is due to become operational and open to the public by mid-2012. Applelec’s LED Light Sheet has been used to display Mulberry’s famous luxury leather goods at the newly relocated flagship boutique on London’s New Bond Street. The store design was conceived by Universal Design Studio, while DPA Lighting provided a lighting design solution which was mindful of energy saving criteria. Conceptually the space suggests a modern art gallery, creating a unique experience for those browsing within the boutique and highlighting the connection between fashion and art. All elements of the store’s design and functionality have been calculated to minimise environmental impact and have longevity; thus the dry stone wall retains heat in winter and aids the store’s cooling throughout warmer months. With such systems in place, the store is expected to receive a BREEAM rating of ‘excellent’, a rare achievement for a retail space. LED Light Sheet’s selection for this environmentally conscious boutique is a pertinent accolade for a product which has been developed with energy efficiency as a core characteristic. Along with low energy consumption, LED Light Sheet delivers an LED lifespan of over 50,000 hours, achieved in part by the thermal management of the LEDs embedded within the sheet. This LED management enables the luminaire to run cool to the touch, ensuring it does not interfere with the temperature systems of the Mulberry boutique, and in particular does not contribute to the overheating of the store in summer months. Furthermore, the cool running of LED Light Sheet ensures it is suitable for a variety of retail applications as products may be displayed on or near the unit without harm or depreciation. Light brightness meanwhile is not compromised, and in the Mulberry project the unit was fitted to the underside of shelves within two of the oak follies allowing light to be cast downwards onto the displayed products. In the construction of the follies, LED Light Sheet’s slim profile ensures it is discreetly integrated into the exposed oak shelves. Devereux Architects recently completed a new secondary school in East Sussex which is based on Swedish and Danish education models. The dramatic designs of Bexhill High School have replaced traditional classrooms with flexible learning pods, connected to a large central heart space, to facilitate the Headteacher’s and East Sussex County Council’s progressive vision for delivering a transformational curriculum focused on project based learning. Bexhill High School is the first BSF scheme in the county with a transformational approach to teaching and learning, similar to the Scandinavian education model promoted by Kunskapsskolan – the concept of flexible, personalised learning for pupils. 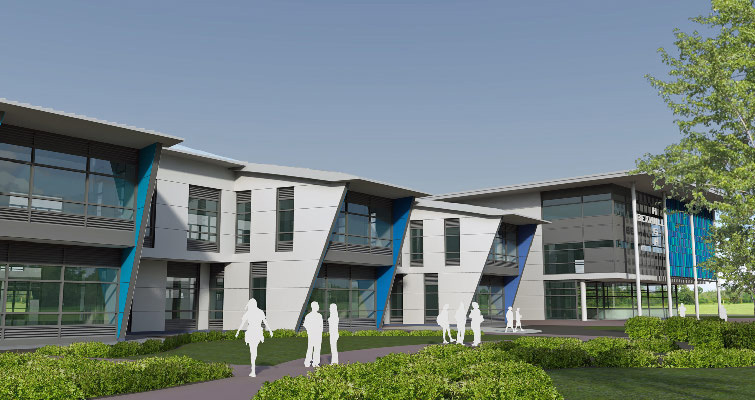 This concept is supported by large office style, open plan rooms and activity spaces, with a strong emphasis on IT, and where pupils and staff share meals together. At Bexhill High School the 15 education pods, which are the largest in the UK at 245m2 and are equivalent to three traditional classrooms, can each accommodate up to 90 students permanently supervised by five or six teachers. All pods will have dedicated toilets for both students and staff and will include provision for those with disabilities. A key feature of the building is the ETFE roof over the heart space which expresses the nature and form of the internal configuration of open plan learning zones arranged around a central, multi-use focus space. Measuring over 1400m2, the roof is one of the largest covered spaces in any education building in the UK. The style and design of the building and external areas is suitable for a school of the future which is adaptable, durable and flexible to accommodate the changing learning needs of the school and community. The building will use very little primary energy and meets the government’s 60% carbon reduction target through a strategy of natural ventilation and lighting to virtually every space in combination with biomass boilers for power and heating. Further features include solar panels for hot water, thermal mass for night cooling, rainwater harvesting and 600m2 of photovoltaic cells to provide free electric primary energy. An innovative acoustic natural ventilation solution has avoided the need for any mechanical systems within all of the large learning zones and has contributed towards a ‘Very Good’ BREEAM rating. An energy use meter has been set up online to encourage all pupils and staff to monitor the building's performance in real time on their school laptops. The project, funded by £33m from the Government’s Building Schools for the Future programme and more than £4m from East Sussex County Council, was given the Government green light in January 2007. ISG Cathedral is forming a close bond with the natural environment at the John Lewis Partnership Services project. The Bracknell campus is built around acres of natural habitat which is thriving with varieties of bird life. John Lewis Partnership services and Waitrose have set up a campus initiative to protect the natural habitat surrounding their working environment. The campus grounds include a special woodlands area that features a rustic footpath. ISG Cathedral’s project team have agreed to participate in the restoration of this area, helping provide a natural retreat for the staff members on campus. In addition to their involvement an ecologist has been appointed to assess the environmental impact on the local environment. A comprehensive study into how Whitehill Bordon can be made carbon neutral is being undertaken by an independent design, environment and energy consultancy business. Whitehill Bordon Eco-town has an ambitious target for the whole town to be carbon neutral by 2036, encompassing the existing community and the new development planned over the next 25 years. Independent design, environment and energy consulting business LDA Design is leading a practical study to identify the renewable and low-carbon energy options which will enable this goal to be achieved. The study, which will be finished in the summer, is considering current and future energy demands from buildings, transport, water and waste management, as well as reviewing infrastructure capacity and appraising the energy supply options for the town. This will not only assess feasibility and costs of the different types of renewable and low-carbon energy supply, but also identify projects and set out an action plan for delivering an energy strategy that makes a real contribution to achieving the town's carbon neutral target. "This is a major step towards delivering low carbon energy generation and community owned energy schemes in the town. Creating a carbon neutral town is no small challenge and LDA Design is delighted to be able to play its part in this exciting project as it unfolds," said Helen Pearce, project manager for LDA Design. LDA Design is leading the energy feasibility and MUSCo study, supported by Peter Walker, Royal Haskoning and Addison & Associates.